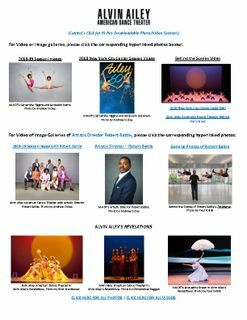 Norfolk, VaA (WVEC) - Students from all over Hampton Roads enjoyed a performance by the world-renowned Alvin Ailey American Dance Theater Friday. Around 2,000 students enjoyed a special matinee show at Chrysler Hall thanks to the Virginia Arts Festival. When the famed Alvin Ailey dance troupe tours, they do community outreach. This summer they're in Paris, holding classes for disadvantaged, young dancers. At 42, Matthew Rushing is one of Alvin Ailey's longest serving dancers. He sits down with Good Day's Karen Graham to talk about what you can expect to see during the shows at the Fabulous Fox Theater, the secret to his longevity and what inspires him to keep going. 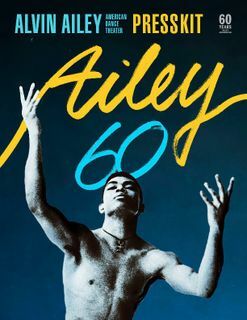 Dance comes to mind, especially this week, as the Alvin Ailey American Dance Theater kicked off this year's 20-city North American tour in Washington, D.C. And the man who led off the event, who literally stepped on stage first, was none other than Matthew Rushing. Anna Gilligan hit the dance floor for a class on 'Revelations,' the signature choreographic work of Alvin Ailey American Dance Theater. We can always count on Alvin Ailey American Dance Theater to be lively, colorful, and entertaining. But Thursday’s opening night Celebrity Series performance was that and much more, offering Ailey’s rousing “Revelations” on a slate with the Boston premiere of Matthew Rushing’s stirring new “Odetta” and Israeli-born Hofesh Shechter’s provocative “Uprising,” which is having its company premiere this season.